Location, Location, Location! If you are looking for a great opportunity, this well-maintained 4 bedroom 2 bath Lakeview home is for you. 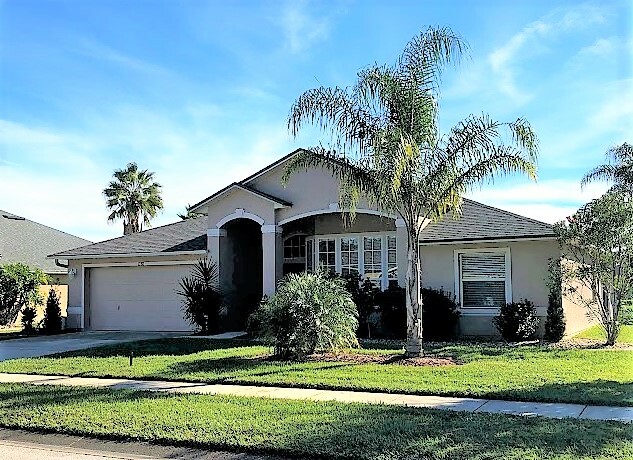 This executive home located in the desirable Waters Edge Community is within walking distance to Creekside Middle School, Cypress Creek Elementary and a short distance to Spruce Creek High, which are all considered the finest schools in the area. This family home is conveniently located to the neighborhood community park with spacious fields for recreational events such as football, soccer, as well as tennis courts. This home has been upgraded with a newly remodeled open kitchen, GE Slate finish Appliances, Glass Tile Back Splash, Large Owners Suite, with a walk in closet, master bath with double vanity, and large soaking tub. New roof 2018, newer central air-conditioning, with additional ducts, newer faucets and toilets, and lighted ceiling fans throughout. This retreat is offered with reasonable owner financing and priced at $ 314,000.